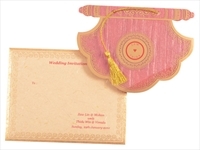 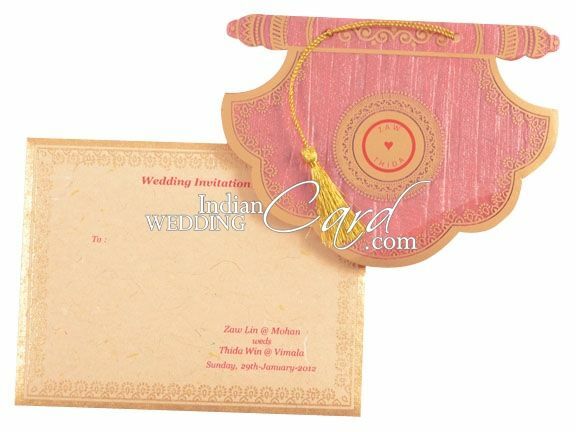 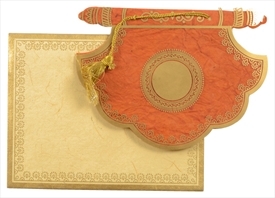 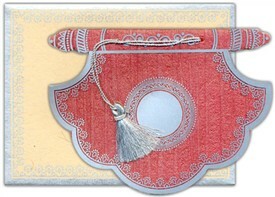 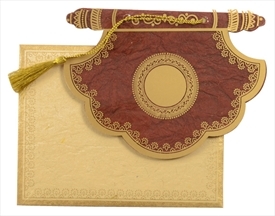 D-2535, Pink Color, Handmade Paper, Odd Shape Cards, Small Size Cards, Light Weight Cards, Designer Multifaith Invitations. 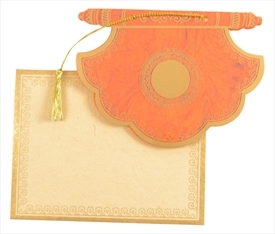 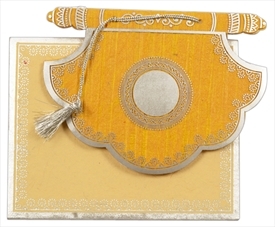 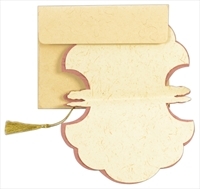 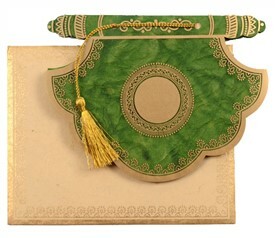 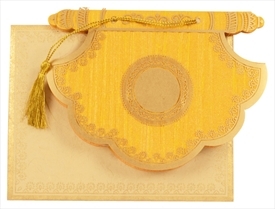 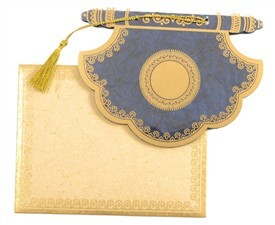 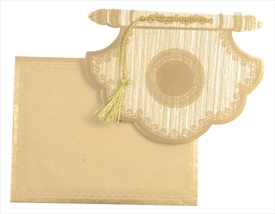 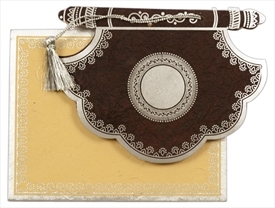 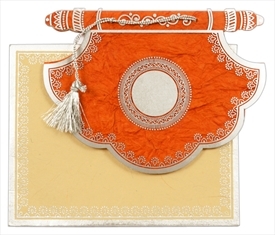 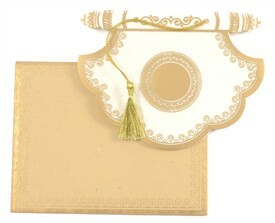 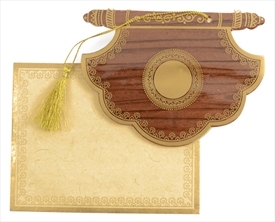 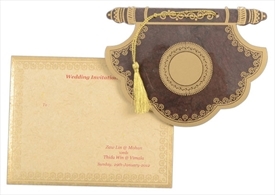 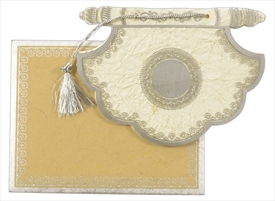 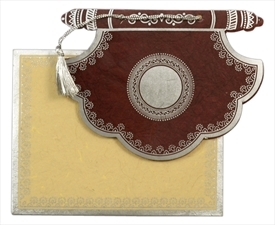 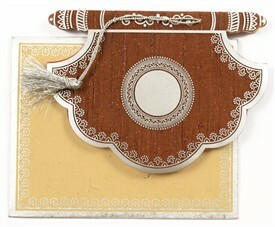 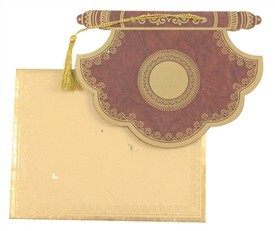 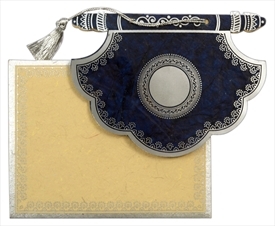 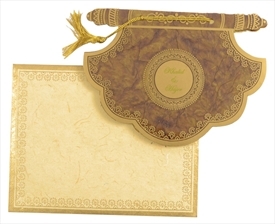 The front of this card designed in the shape of a fan with gold printed PVC overlay attached to card with a tassel. 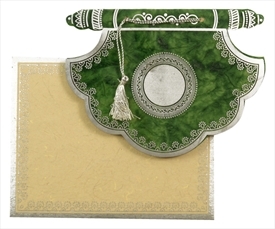 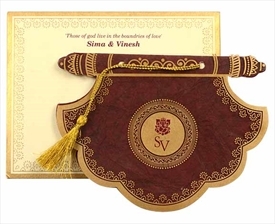 The card and interleaf are plain while the envelope has border design. 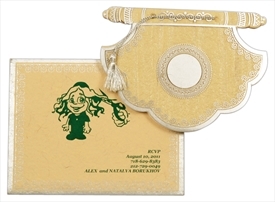 The front circle can be used to put initials / die-casted symbols or printed symbol.